Almost fifty-five years have passed since I first visited Corpus Christi. My sister and I were just kids when our folks introduced us to the Sparkling City by the Sea on a family vacation. I confess that I was a bit frightened by the vast expanse of water that seemed to dissolve into the distant horizon a million miles away. And I was also concerned because my sister’s nickname is Bonnie and I remember my Mom singing the old Scottish folk song, “My Bonnie Lies Over the Ocean.” I was afraid that at any moment a wave might scoop Bonnie up in its foamy arms and carry her to a place far away over the ocean. Thirty-seven years ago I returned to Corpus Christi, never expecting that I would spend the next seven years of my life in this coastal city. When I drove down Shoreline Drive for the first time, I felt as though I had found my Shangri-La. Could any place on the planet be as beautiful? The city seemed to be perched on the edge of the world. And, that same vast open water that I had first seen as a kid made the whole world seem like it was within reach. Over the years since then I have stood on beaches and coastlines on the other side of the world and looked back toward Corpus Christi. 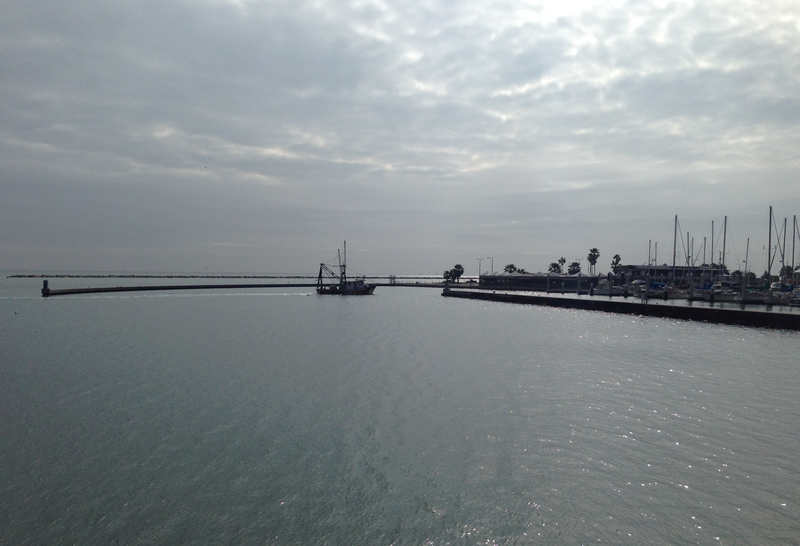 Cheryl and I are in Corpus once again this week to help care for her aging mom. Those who know my mother-in-law know that when I married Cheryl I also won the mother-in-law lottery. I count it a privilege to spend time with her and to help feed and care for her. Although she is physically frail and so many of her memories have melted together, she maintains a great sense of humor, a remarkable kindness, and an incredible appetite for chocolate. She is delightful to be around. 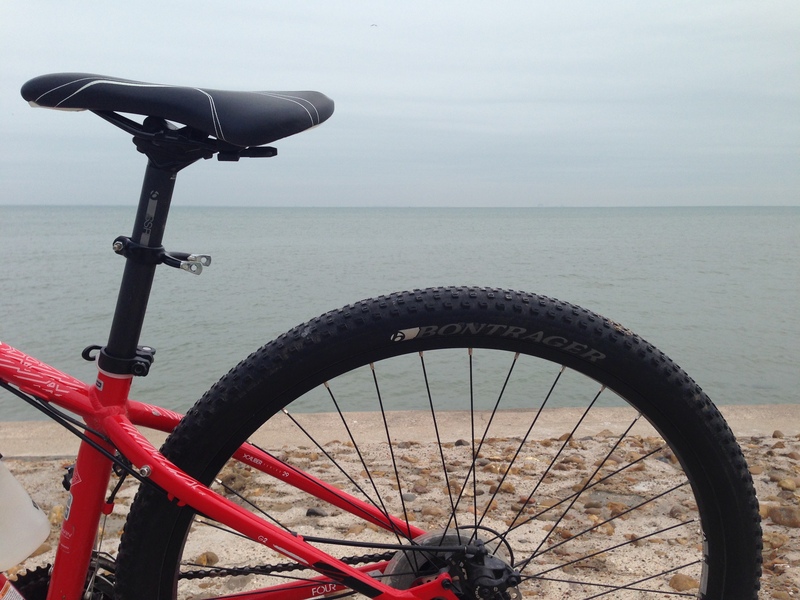 This morning I ventured back to Shoreline Drive to ride my bike. 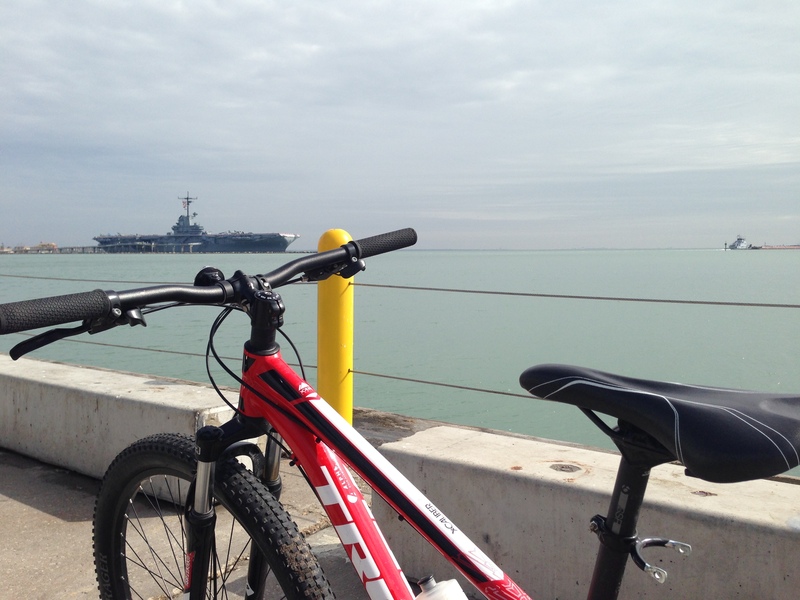 I started near the ship channel where the USS Lexington is permanently moored and rode south along the beautiful bayfront. There were a surprising number of tourists walking along Shoreline Drive this morning in spite of the overcast skies and chilly breeze. I also swooped down into the t-heads to ride slowly past the boats and to watch the fishermen casting their rods against the wind. Apparently others agreed that the day was just too nice to stay indoors. 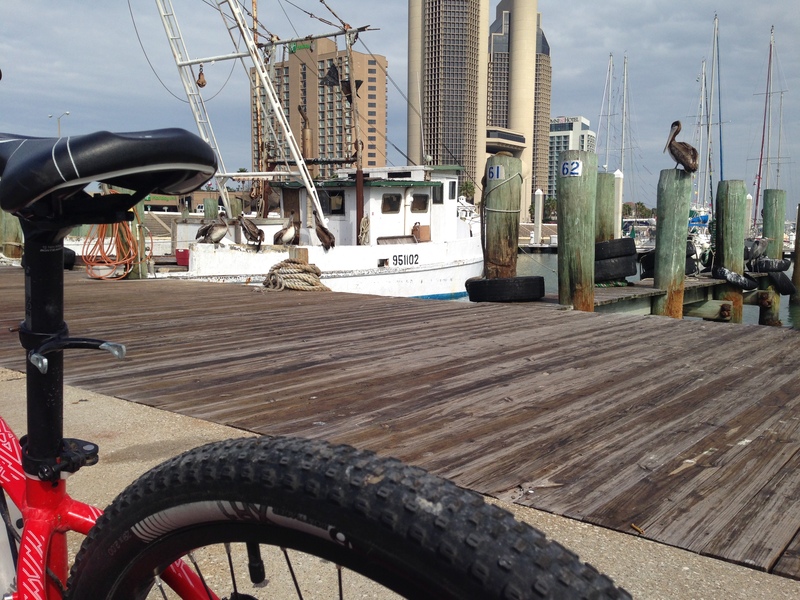 I only rode about eight miles this morning but my intention was not to do a lengthy ride but instead to linger and enjoy the beautiful views — the sky, the sea, the birds and the boats, and the big ships that come here from all over the world. I stopped a lot along the way to just look out and to soak in the beauty that I first saw so long ago. I am glad that my folks introduced me to this place when I was a kid and that God allowed me to spend a few years of my life here. 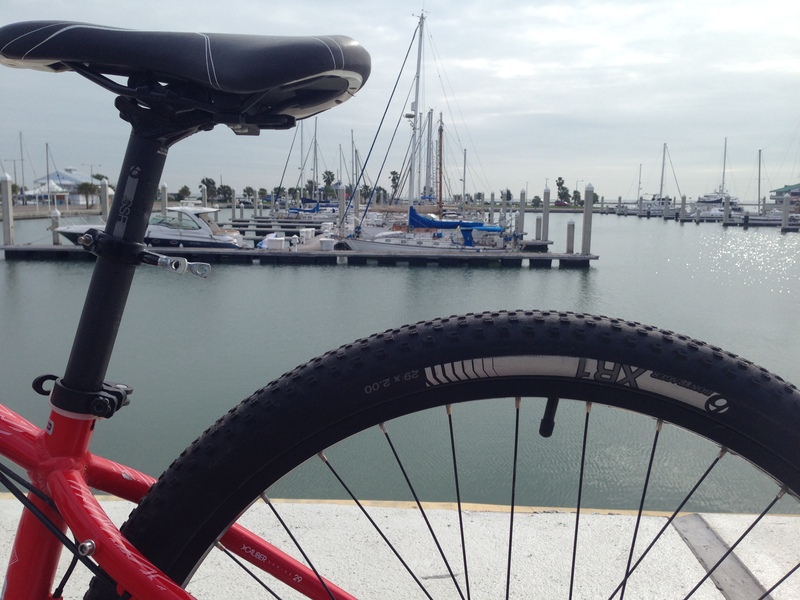 Biking the bayfront was a fun and affordable adventure, one that I hope to do again the next time I return to the Sparkling City by the Sea.